The New York Times Magazine ‘New York Stories’ issue is the first, entirely illustrated, comics issue of the magazine. 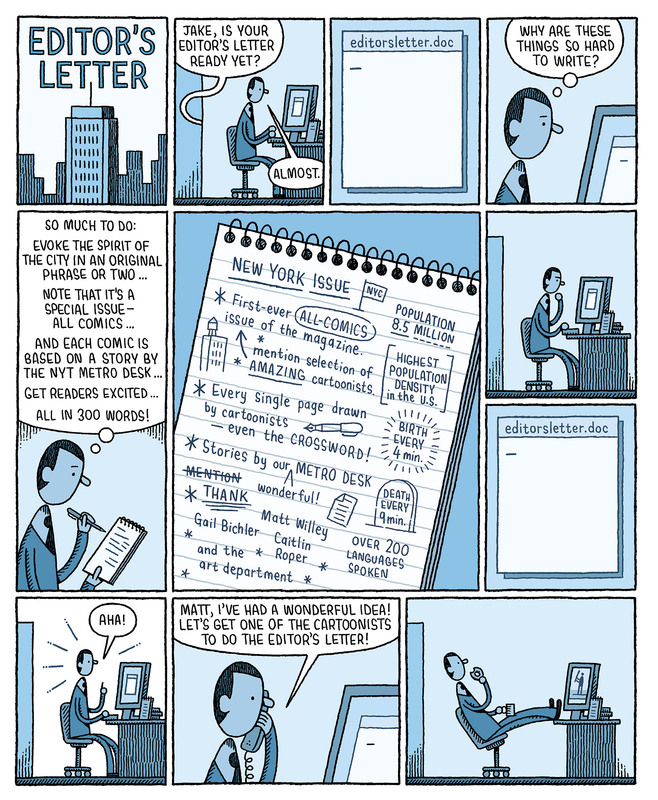 Tom created a cartoon strip over a double page spread for one of twelve feature stories from The New York Times’ Metro Desk. He also illustrated the Editor’s Letter, the contributors page, readers tweets, and puzzle pages within the magazine. NYT Magazine’s Art Director, Matt Willey commissioned the issue. He and his designers used Tom’s handwritten typeface, throughout the magazine.